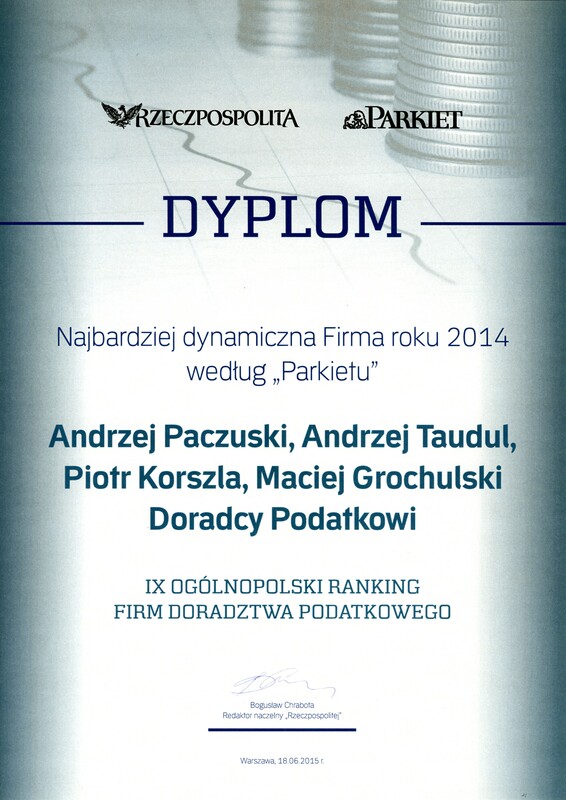 Paczuski Taudul is a leading tax advisory firm in Poland. Our brand is synonymous not only with the highest professional level of services, but most importantly with our in-depth understanding of the substance of business activities carried out by our clients, our full commitment to their affairs as well as our creativity and timeliness of our assistance. We do not sell generic tax products. Each advice is developed individually, to meet the specific needs of our clients. 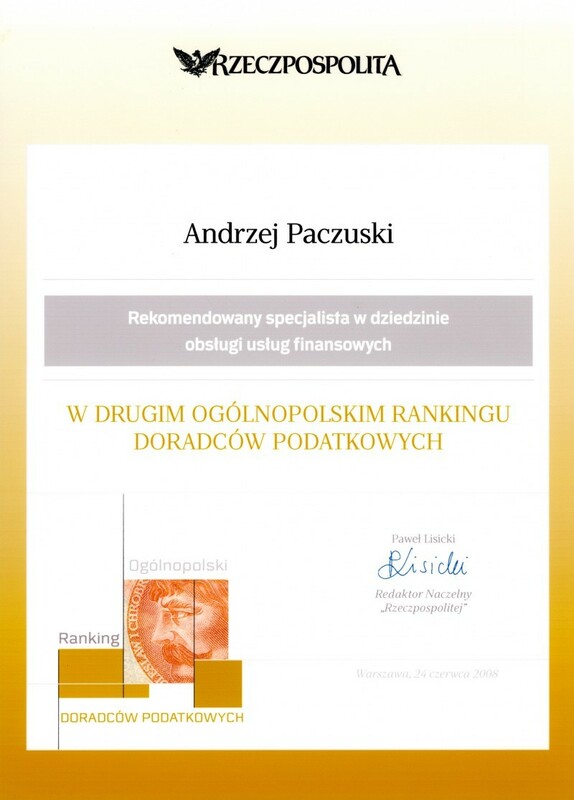 Due to our many years of cooperation with businesses, we are fully aware of the importance of tax security and optimal solutions aligned to strategies adopted by our clients. In response to our clients’ needs, we design safe and, simultaneously, optimal tax solutions facilitating their success on this competitive market.